New Delhi, March 21: Savi Sidhu, an actor who had featured in minor roles in many celebrated Bollywood films, and is currently employed as a watchman at a building in Mumbai's Parel on Wednesday slammed Rahul Gandhi and Priyanka Gandhi for using "foul language" for Prime Minister Narendra Modi. Sidhu made the statement while commenting on the BJP's 'Main Bhi Chowkidar' campaign. He said that watchmen should not be dragged for the sake of votes bank. 'Main Bhi Chowkidar' was launched earlier this month by Prime Minister Narendra Modi, as a reference to "chowkidar chor hai (the watchman is a thief)"a phrase often used by Rahul Gandhi to target him on the Rafale jet deal. A day after the launch of the campaign, the Prime Minister, as well as a number of BJP leaders across the country, added the prefix 'chowkidar' to their Twitter handles as a mark of support to the poll campaign.Commenting on Rahul's barb at PM Modi, Savi said, "All 'Chowkidars' should not be painted as wrong for sake of some votes. Narendra Modi is like Bhishm pitamah and politicians Like Rahul Gandhi, Hardik Patel and Priyanka Gandhi are younger than Modi Ji, they should not use foul language for him." Chowkidars Approach Cops on Rahul Gandhi's 'Chowkidar Chor Hai' Jibe. Savi is known for delivered some powerful performances in many films including, Black Friday, Paanch, Gulal, Patiala House and Bewakoofiyan. Due to his health issues Savi was not active in movies for some time and when he finally recovered from his illness, he struggled to find work for some time and finally had to work as a watchman for the sake of livelihood.In a social media video, which has now gone viral, Savi spoke about his struggling days and what forced him into taking up the job of a security guard." The toughest phase of my life was when I lost my wife. Then my father passed away and my mother also died and later in-laws too. I was left alone. I am all alone," he said in the video. Speaking about his current Job, he said that he is struggling financially and that even watching a film in a theatre is like a dream to him." 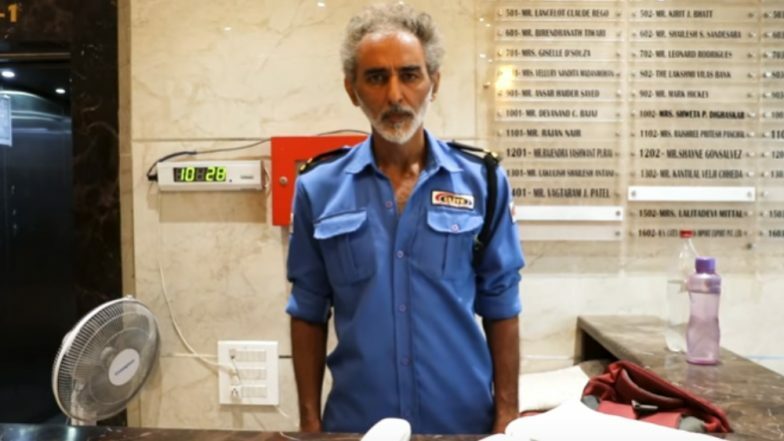 Gulaal Actor Savi Sidhu Becomes Security Guard to Earn Money to Kickstart His Acting Career Again – Watch Video. It is a 12-hour tough job. It's a mechanical job. I don't even have money to buy bus tickets. To watch a film in the theatre is like a dream now. My financial condition is not good," he asserted. Shortly after the video went viral, Anurag Kashyap and Rajkummar Rao found Savi Sidhu's story of struggle rather inspiring took to their Twitter handle to applaud and send their best wishes to Savi. However, things are looking up for Savi. He has started receiving offers from the entertainment industry and is hopeful to get some suitable roles in movies soon.